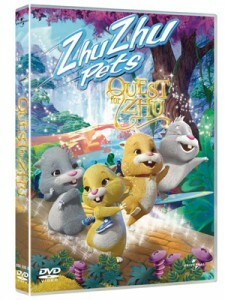 You can now whatch your favourite Zhu Zhu characters come to life in the brand new feature length animated adventure called Zhu Zhu Pets: Quest for Zhu. 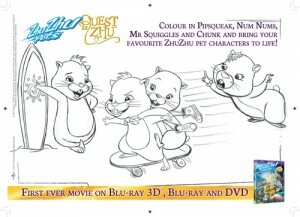 Out on DVD and Blu-ray 3D on 17th October, Pipsqueak, Chunk, Num Nums and Mr Squiggles travel across the Zhuniverse to find the Palace of Zhu, where they believe all their dreams will come true. Since we know so many of you like Zhu Zhu, we’ve also got our hands on some cool Zhu Zhu games for you to play right now! Simply click on one of the pictures below to download your very own Zhu Zhu activity sheet.